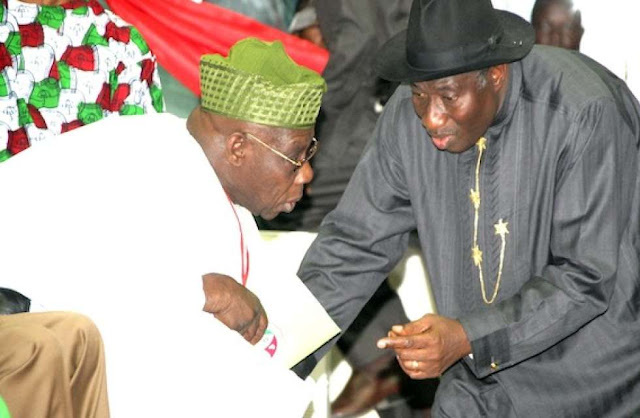 Yesterday Formal President Olusegun Obasanjo stated that he warned immediate past president, Dr. Goodluck Jonathan about his ‘reckless’ spending of his government. He said two years ago when he saw signs that Nigeria was walking down the path of recession and the way the powers that be were expending the nation’s resources, he drew Jonathan’s attention to the danger ahead, but was ignored. According to The Nation, the former president spoke yesterday during a lecture organised by the Youth Fellowship of Owu Baptist Church, Abeokuta to mark Nigeria’s Independence Day anniversary. He cited the high level of unemployment which he described as a time bomb.